Rubber hose protection for hoses with a maximum outer dimension of Ø21mm, in different colours available. Rubber hose protection for hoses with a maximum outer dimension of Ø23mm, in different colours available. 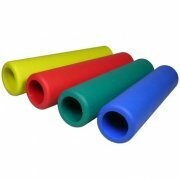 Rubber hose protection for hoses with a maximum outer dimension of Ø31mm, in different colours available.